Starting in Glasgow, Scotland on the 3rd of May and culminating at the Amsterdam Ziggodome on June 25th, 2018, rock icons Nickelback will be performing across 23 cities across the UK and Continental Europe with their biggest and boldest production yet, with special guest Seether. Tickets for the Feed The Machine Tour go on sale this Friday, 8 December, at 10AM local venue time in all markets except for Madrid on Thursday, 7 December at 10AM local venue time, in Milan on Monday, 11 December at 10AM local venue time and Amsterdam on Friday, 15 December at 10AM local venue time. 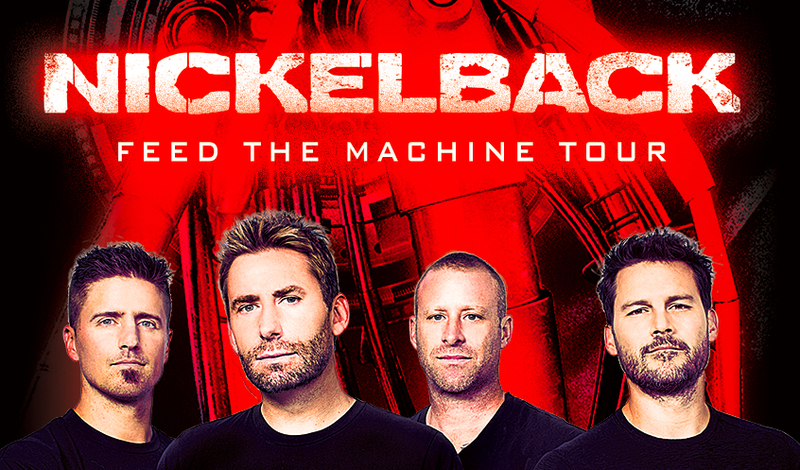 If you're not already a Nickelback Fan Club member and you want access to these presales, plus a special edition Feed The Machine silk-screened poster, click here. Click HERE for a full list of dates and ticket info.